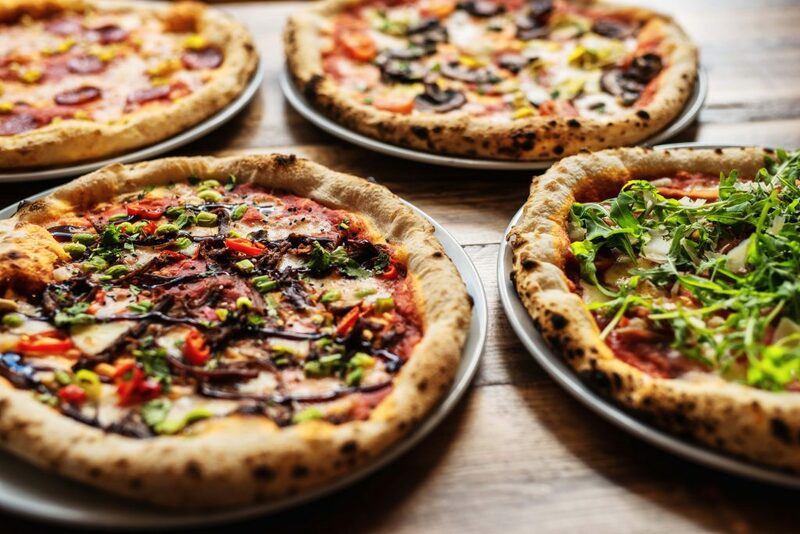 wood-fired oven specialising in sourdough pizza. Also on offer are some other beautiful dishes in the oven such as a shoulder of pork from Longbarrow Farm which is used in a variety of delicious recipes. Healthy, innovative salads, sharing plates and some great craft beers are also served as well. Contemporary British dining in a sophisticated yet relaxed atmosphere. Offering brunch, cocktails, private dining, Champagne afternoon teas and live music every Wednesday. Quietly chic and the ideal unpretentious surroundings for a lovely evening. 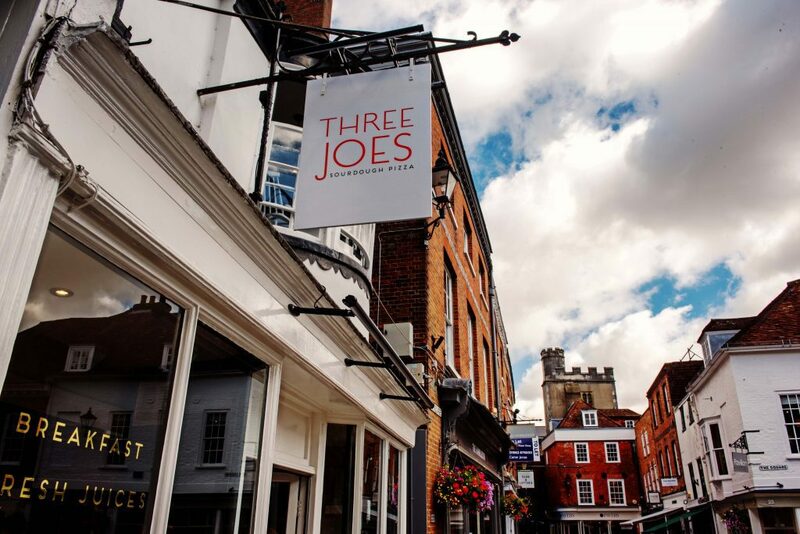 Winchester's family-run Thai restaurant specialising in cuisine from the Far East. Dine on the finest the season has to offer, in the peaceful and verdant setting of Abbey Mill Gardens; located close to the city centre and Winchester’s main tourist attractions. 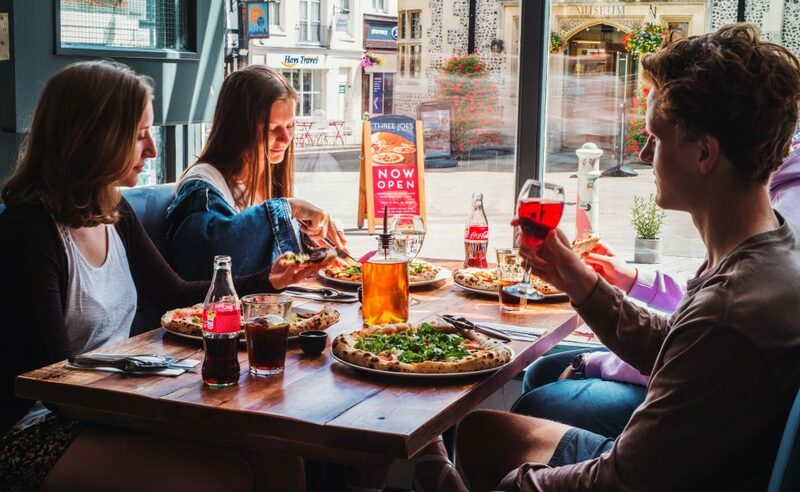 Winchester's Pizza Express Italian restaurant serves delicious, freshly made pizza in an 18th Century building. Located on the corner of the Broadway and Abbey Passage, eighteen71 is a superb space which overlooks the Broadway, Abbey Gardens and the Nunnaminster. Premium spirits and alcoholic concoctions inspired by the Hampshire countryside. Winchester's premier steakhouse open every day for lunch and dinner. Greens is the ideal venue to enjoy a superb dining experience. True home cooking with traditional service in a friendly atmosphere.